An Ottawa woman is hoping she will be reunited with her family in time for Christmas after her mother's sponsorship application was approved years ago, but like many others trying to bring family to Canada, the process has resulted in more red tape than red bows. After publishing the story, Immigration, Refugees and Citizenship Canada responded to CBC. The department outlined the steps it has taken in this case. The department said it would be in touch with Alphonsine Tshibuabua Mbuyi soon. "Immigration Canada stole part of my life. It stole my family life. It stole my mother's life," said a discouraged Marie-Flore Kapamba in an interview in French. Kapamba, who came to Canada two decades ago from Congo, has been working tirelessly for 13 years to bring her mother to Ottawa. "My mother taught me how to swim when I was four years old. I've always dreamed of bringing my mother to the pool with my own kids," she said. "I wanted to tour Canada with her by train and go all the way to Vancouver. All these moments, and now they won't happen because at 70, how long does she have to live, 10 years? Five years?" In 2003, Kapamba was in the middle of a divorce while trying to raise three toddlers as a single mother. That was the first time she tried, in vain, to bring her mother, Alphonsine Tshibuabua Mbuyi, to Canada from Congo to help her. Alphonsine Tshibuabua Mbuyi has been living in South Africa since 2004 in the hopes of coming to Ottawa sooner. (CBC)A year later her mother agreed to move to a country with a Canadian embassy in the hope of speeding up the process. She settled in South Africa for what everyone thought would be a short stay. But 12 years later she still lives there — alone. For both mother and daughter, the separation has been unbearably difficult. "I'm dying of fear, I'm dying of anxiety," Kapamba said. "If anything happens to my mother in South Africa, what am I going to do?" 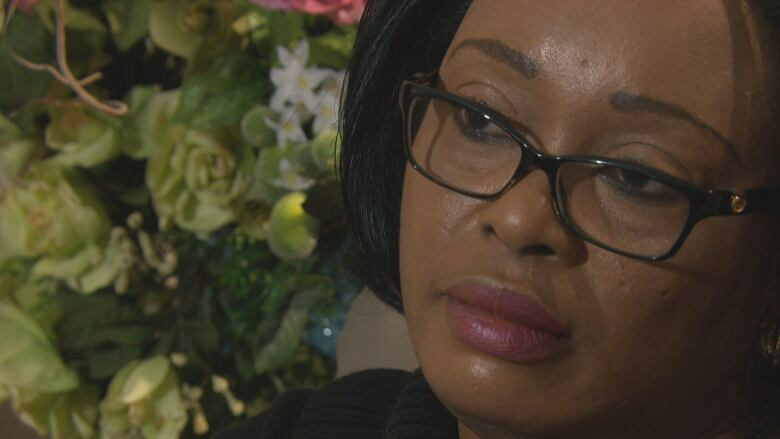 Finally, in 2010, after years of submitting applications and navigating complicated immigration policy, Immigration Canada accepted the application, recognizing Kapamba had the financial means to support her mother. 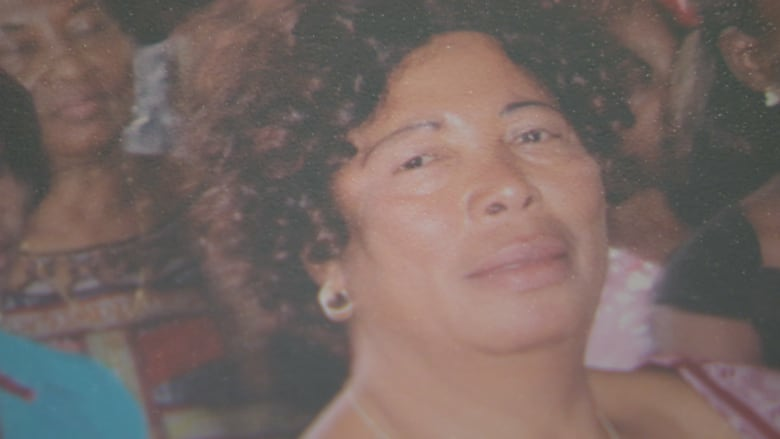 The Canadian High Commission in South Africa wrote a letter saying they were ready to proceed with her mother's permanent residency and the file would be settled in six to eight months. Her mother passed all of the required tests, including medical exams, criminal background and security checks. But still she did not receive her Canadian visa. As the process dragged on, the forms that attested to her mother's good health and crime-free background expired. She would have to fill out all those requirements again, and pay again. Kapamba says she has filed all the paperwork and necessary forms to bring her mother over. (CBC)Kapamba couldn't take it anymore. In 2013 she decided to travel to South Africa herself — an exorbitant expense as she had been supporting both her children in Canada and her mother abroad for years. When she arrived at the Canadian High Commission in Pretoria, she was initially refused. After an hour and a half of waiting, an agent told her a form was missing from the file. She quickly completed it, and the officer told her to return to Canada with the assurance her mother would be able to join her soon after. Once again, she was disappointed. 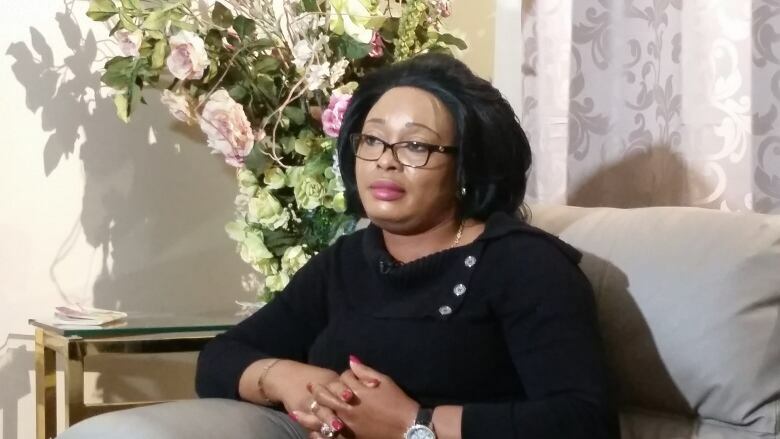 Kapamba appealed to her local MP, who at the time was Conservative Royal Galipeau, who in turn contacted the Canadian High Commission in Pretoria, but was unsuccessful. Galipeau also wrote to immigration minister of the day, Chris Alexander, but did not receive a response. Then came the 2015 federal election. "I had some hope with the Liberal government," said Kapamba. She visited the office of the new MP for Orléans, Liberal Andrew Leslie. In mid-July, Leslie wrote to the new minister of immigration, John McCallum, on her behalf. McCallum replied a month later, acknowledging that Kapamba's sponsorship application had been approved since 2010, but offered no explanation for the delays associated with the file. "Your response does not provide me with the ability to respond to my constituent's question," Leslie wrote in a second letter to McCallum, sent this October. "As you point out, Ms. Kapamba, who has followed all of the rules, was approved to sponsor her mother in March 2010." He added that they owe her, at the very least, an explanation. McCallum has yet to reply to the second letter. "It's a nightmare," Kapamba said. "I don't know what it's going to take. I just don't understand and it's driving me crazy." "Unfortunately, this is not an isolated case, especially when you're dealing with parents and grandparents. The processing times are very long," explained Negar Achtari, an immigration lawyer based in Ottawa. "It destroys lives. It destroys families." Some 50,000 sponsorship files for parents and grandparents are currently waiting to be processed. 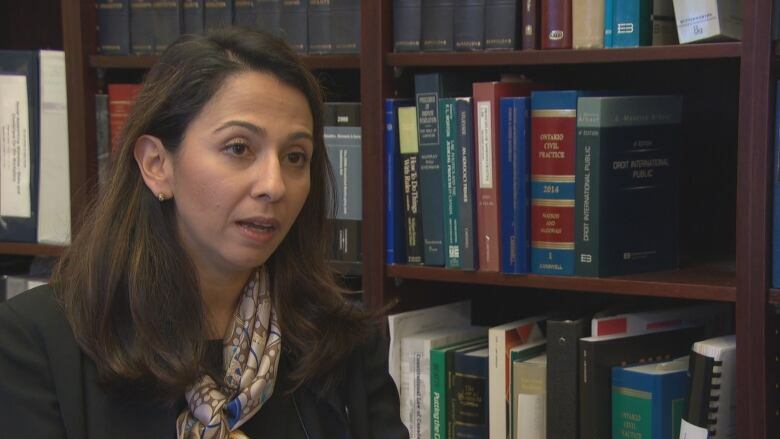 Immigration lawyer Negar Achtari says the backlog to bring families to Canada is huge. (CBC)For its part, Immigration Canada is pleased the "inventory" is at least decreasing. Five years ago in 2011, there were 167,000 cases waiting to be processed. There have been improvements, Achtari said. For example, she applauds the Trudeau government's decision to double the number of new parent and grandparent cases Canada accepts to 10,000 each year. But it remains a quota system, Achtari said. An application has to be one of the first 10,000 to arrive or it will be refused, leaving families to try their luck again the following year. Add to that, Immigration Canada is currently processing applications the department received three years ago, in January of 2014. The system's impersonal nature only contributes to the backlog, Achtari said, explaining that everything is done by email or fax. "The correspondence is never signed in full. You either get an agent's number or their initials. You never know who to turn to," said Achtari. "The entire system needs to be reviewed," she said. "It would be more effective if applicants could speak directly to immigration officers with access to their files, so they could have their questions answered quickly." The last email Kapamba received from the immigration office, which arrived last month and warned of additional delays, was simply signed "Immigration Section / AB." The holiday season, a time of celebration for most families, has become a time of suffering for her. "I haven't celebrated Christmas for years," she said. "For years I've had to work up the courage ... to pick up the phone to say 'Happy Mother's Day.' How can you take your mother, leave her in an apartment in South Africa, and then call to wish her a happy birthday?" When she does call her mother, the conversation is filled with sadness and anguish. After 13 years of broken promises, Kapamba has run out of reassuring words. "She's my mother — and she doesn't say it — but I can't help thinking deep down, maybe she no longer believes me."